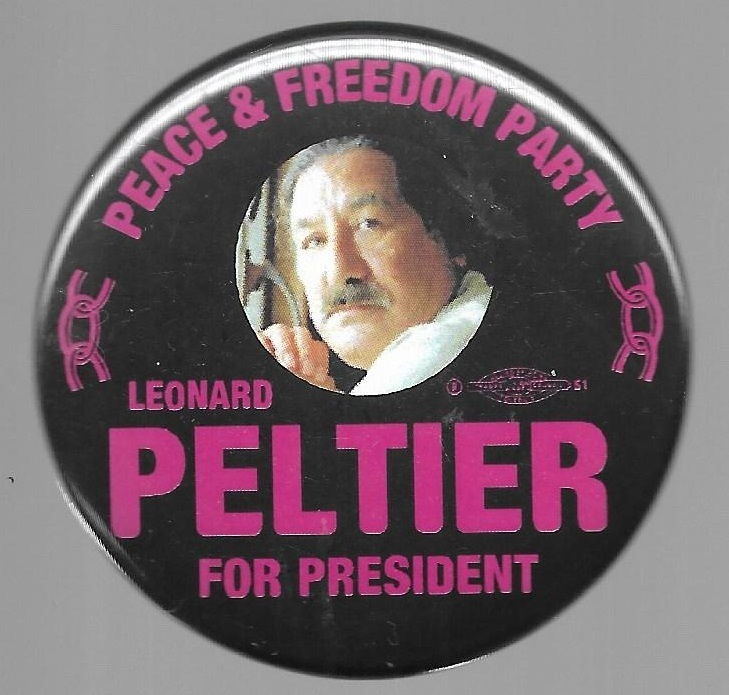 This 2 1/4 inch celluloid pictures Leonard Peltier, the 2008 Peace and Freedom Party candidate for president. Peltier is a Native American activist who has been imprisoned since the mid 1970s for his role in the Pine Ridge Indian Reservation deaths of two FBI agents. Excellent condition.